We design, install, maintain and monitor all types of intruder alarm systems for retail, commercial, industrial and domestic premises. We provide designs from simple audible-only systems to systems continuously monitored by our NSI approved Alarm Receiving Centre (ARC) who automatically call the police when the system activates. All systems are designed and installed to comply with BS EN50131-7, PD6662 & DD243 and a certificate of compliance is issued. We specialise in wire-free systems for domestic premises to provide a security solution without the need to install cables. We design, install, maintain and monitor all types of fire alarm systems for retail, commercial, industrial and domestic premises. Systems range from simple manual call points that operate an audible warning sounder to systems that provide fire detection by smoke and heat detectors. In some cases, the use of a wire-free system design can provide an solution for large complex buildings where the installation of cables would be difficult and expensive. Fire systems can be monitored at our ARC to provide automatic response by the Fire & Rescue Services. All our systems comply with BS 5839 and a certificate of compliance is issued where appropriate. The Regulatory Reform Act 2005 changed the law in relation to fire prevention and risk assessments, under the new legislation the owner or tenant of a building is now responsible in law for the safety of their employees from the risk of fire. We design, install and maintain range of external and internal CCTV systems for retail, commercial, industrial and domestic premises. 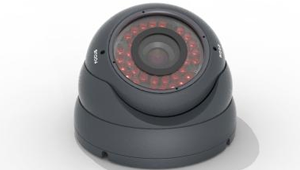 These systems can comprise from single camera set-ups to large systems with 50 or more cameras. Each camera can be linked to a Digital Video Recorder to record and store the images and in addition, we can provide remote monitoring at our ARC or the facility for you to view the system via the Internet. All our systems comply with NACP 104 and a certificate of compliance is issued. 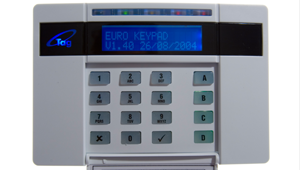 We design, install and maintain access control systems for domestic, retail, commercial, industrial and domestic premises. Access Control includes simple digital locks to more complex systems using proximity, iris or fingerprint recognition to control unauthorised access. For large systems, we can install our software onto your PC allowing you complete control of the system either in-house or from a remote site. All our systems comply with NACP 30 and a certificate of compliance is issued. 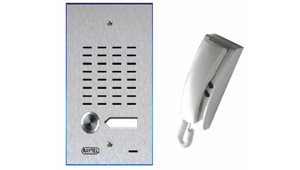 We design, install and maintain audio entry systems for retail, commercial, industrial and domestic premises that provide audio and/or visual communication from inside your premises to your entrance door enabling you to identify a visitor prior to entry. These system operate an electronic locking device so that once you are satisfied with the identity of the visitor you can press a button on the handset to release the lock. All our systems comply with NACP 30 and a certificate of compliance is issued where appropriate. IP Fire & Security supply, install and maintain all types of fire extinguishers for retail, commercial, industrial and domestic premises.